After his distinguished career as Director of SJB Architects and Plus Architecture, Alfred embarks on a new career phase with his design practice, AdeB Architects. As design principal at SJB, Alfred was responsible for realising the design intentions of both practices. He is accomplished in and broadly recognised for his balanced and commercially astute approach in the development of concepts and design. 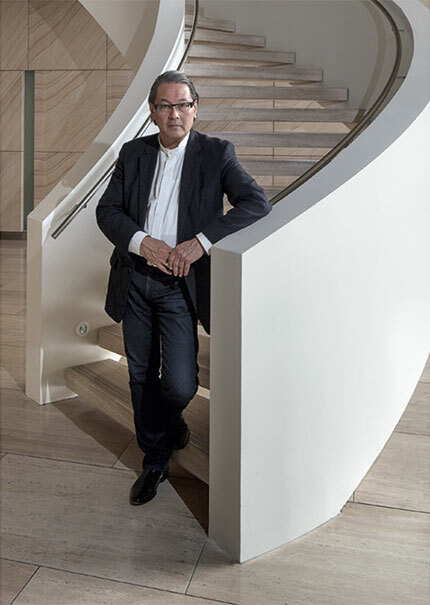 Alfred has also been actively involved in Melbourne’s design community and continues with his long association with the architecture schools and the AIA, which was recognised in 2012 by the receipt of the AIA President’s Prize. Beyond the problem solving challenges, he relishes in the creative and artistic aspects of the design process, always seeking a reasoned and significant response. The emotive memory of spatial experiences created by design is a continuing influence in his architectural practice. The creation of sensible design driven responses and seeing it realized, alongside satisfied clients is his primary driver.